That’s precisely what these are. Crispy on the outside, pillowy inside, and suffused with fresh parsley, dill, chives and rosemary for an herbal blast. These aren’t rolls that you put out just to have something on the side. No, these are rolls with personality that you remember. The recipe for “Overnight Herb Rolls” is from Chef Bradley Ogden, a pioneer in contemporary American cooking. He created these when he was head chef at the Lark Creek Inn in Larkspur (now the Tavern at Lark Creek). The recipe is from “The Sunset Cookbook” (Oxmoor House), which is quickly becoming one of my favorite cookbooks of the year with its more than 1,000 recipes culled from the magazine that covers the West. This simple dough, enriched with egg, butter and milk, comes together effortlessly. Let the dough rise the day you plan to bake the rolls. Or store the dough overnight in the fridge, then allow to rise the next day on the countertop before baking. For the latter method, the recipe says to allow 45 to 60 minutes for the dough to double in size as it rises on the countertop. Maybe my fridge is colder than most or I made these on an especially chilly day, but I found it took more like 2 hours for the dough to rise appreciatively. Enjoy them warm with butter — or not. They’re so tasty, you almost don’t need anything else. In a large bowl, sprinkle yeast over 1/4 cup cool (70-degree) water. Let stand 5 minutes. Stir in sugar, table salt, herbs, butter, whole egg, and milk; add flour and stir just until moistened. Knead dough on a lightly floured work surface until elastic and not sticky, about 15 minutes; add flour as needed to prevent sticking. 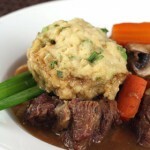 Shape into 12 equal-size balls and transfer to a well-buttered 9-by-13-inch baking pan. Let dough rise in a warm (about 80 degrees) place, covered loosely with plastic wrap or a kitchen towel, until doubled, 45 t0 90 minutes. (A good place to let it rise is inside your oven with the pilot light turned on and the door closed.) Meanwhile, preheat oven to 350 degrees. Brush rolls with beaten egg and sprinkle with kosher salt. Bake until deep golden, 25 to 30 minutes. Make Ahead: Once you shape the balls and place them in the buttered baking pan, you can wrap the pan airtight and chill for up to 1 day (do not let rise before chilling). The next day, allow dough to rise on the countertop. Because the dough is so cold, it may take up to 2 hours for the dough to rise. Once it has doubled in size, proceed with the rest of the baking directions above. Per roll: 192 cal., 18 percent (34 cal.) from fat; 5.5 g protein; 3.8 g fat (2 g sat. ); 33 g carbo (1.2 fiber); 604 mg sodium; 32 mg chol. Indeed they rock! Great and droolworthy rolls. These look perfectly fluffy and so flavorful with all the herbs! 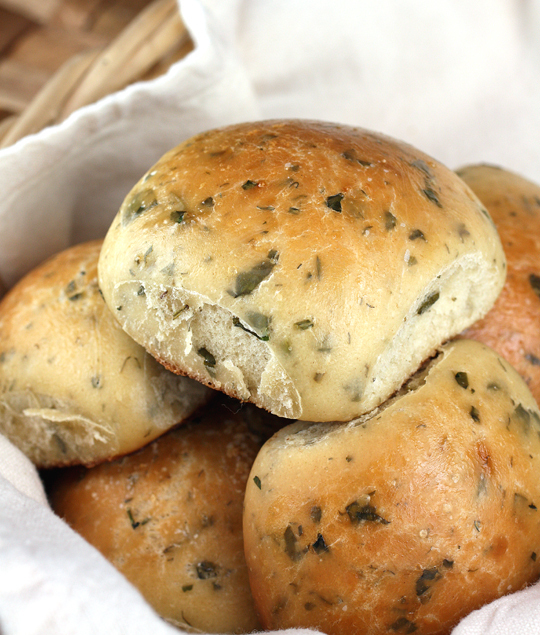 Mmm, I could totally go for one of those rolls right now – love the herbs! Mmm, these look fantastic and I love all the herbs in there! They would be pretty amazing spread with some butter or cheese! Mmmm, I love any kind of rolls with the added flavor of herbs, especially rosemary. 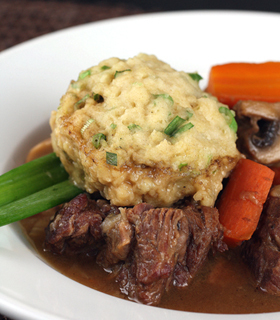 Your version looks just like what they’d serve at restaurants. 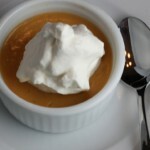 I think you should start baking batches and contract out with small Italian restaurants! I love these rolls. They were serving them at a wedding that took place there and I’m still thinking about it. I’m rolling there…sandwich me into those buns and I am in herby heaven. i need to be more of a bread maker person. i miss that smell of bread baking happily happy. wow thanks for a great bread recipe, it’s time for me to try baking western style breads now 😀 totally inspired! Thanks!With this recipe, you’ve convinced me to try my hand at baking my own rolls. what a great collection of herbs! these rolls may be rockin’ but they’re certainly not rocks–well done! I love baking bread…especially how great your kitchen smells. These rolls sound fabulous…must be great warm …you are right- they definitely have personality. Perfect for a holiday buffet. 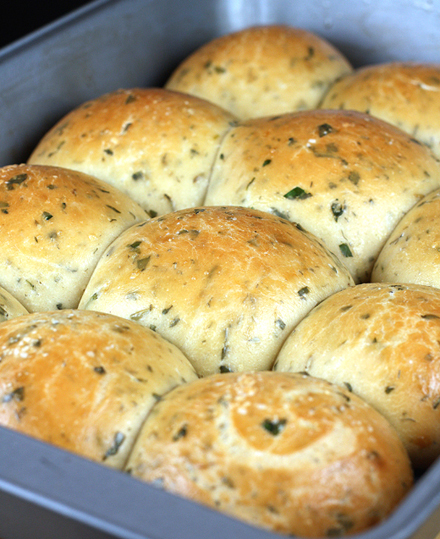 Those herbed home made rolls look so delectable & tasty too! You had me at dill. Then you add chives and rosemary? Must make these…soon. Bread is definitely my favorite thing to make when it’s cold out- Warms up the kitchen and spreads an enticing aroma at the same time! Especially this loaf with fresh herbs… Sounds like it was meant to be. It’s definitely going on the “to make” list. As much cooking as I do, I rarely make dinner rolls, or yeast bread for that matter. I guess I feel like more of my time is spent in other areas of the meal, and we have a pretty good bakery for bread. But there sure is nothing like a homemade roll at the table. I may just give these a try for Christmas. Love that you can have them prepared a day ahead and refrigerated until ready to rise/bake. I made this recipe the other day and the bread turned out amazing!!! I made them again for Christmas. Yum! I also followed a tip from my friend, Beth Hensperger, baking expert and cookbook author extraordinaire. 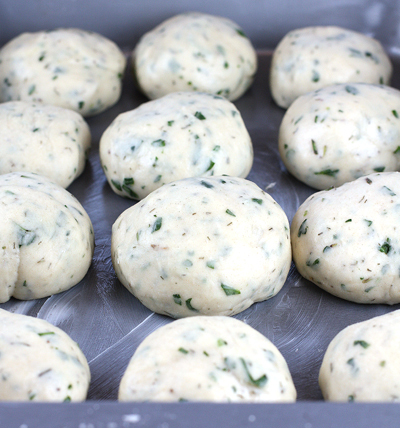 If you refrigerate the dough balls overnight, just take them out in the late morning or noon-ish if you want to bake them that night. The dough is already so cold that it will take quite a long time for it to really get to room temperature, especially in the fall or winter. If your dough gets to the stage where it’s doubled in size, but you’re not ready to bake them, just stick the baking pan back in the fridge. Then, pull it out and put it in the oven when you are ready to bake. I took my pan out of the fridge around 12:30 p.m. and let them sit out till I baked them at 4:30 p.m., and the rolls turned out great — puffy and golden. Beautiful buns! It’s been so long since I baked bread. I really miss fresh home made bread looking at these cuties. This was my first attempt at homemade rolls…we love them! Love all the herbs and I even add extra rosemary because I love rosemary! We’re fans! Hi Trinity: So glad you love these rolls as much as I do. That’s the beauty of them, too — you can add whatever herbs you like most. I bake these very Thanksgiving and Christmas for my family, who go nuts for them. What does “1 egg plus 1 tablespoon lightly beaten egg” mean?? These look delicious!! Robbin: You’ll need one whole egg for the dough. Then, just before baking, crack another egg, lightly beat it, and use about a tablespoon of that to brush over the rolls before sticking them into the oven. Hope that helps. I am so going to try these for the holidays! Thank you so much for your wonderful post. Do the herbs have to be fresh or can you use dry? Donna: You can definitely use dried herbs. Just use less of them, though, since they have a far stronger, more concentrated flavor. Enjoy! Can I just throw the ingredients in a bread maker on the dough cycle? Dawn: I’ve never mixed the ingredients in a bread machine, but I don’t see why you couldn’t. Give it a try and let us know how it works. Enjoy! do you think I could use buttermilk instead of milk or half and half? Lilly: I haven’t used buttermilk in this recipe before. But I would think you could use it. Buttermilk tends to make baked goods moister and softer, so the texture of the rolls might be a little different. 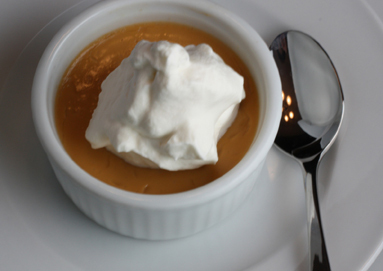 I made these yesterday and they were every bit as good–and easy–as others have commented. Could these be made into smaller rolls and if so, would baking time be shortened? Marie: You can definitely make them smaller. And if you do, the baking time should be less. Just pop them in the oven and keep a close watch to determine when they’re puffy and golden brown enough to pull out. Im confused about letting the yeast proof in *70? Always thought it should be *110-115? It doesn’t say to use instant yeast so don’t you have to proof it in warmer water than *70? I’ve finally had the courage to try making this bread, and turned so yummy. Altho with a few tweaks, instead of plain butter I used garlic butter and I reduced the sugar. Also instead of dill, I used thyme. So aromatic. So great to pair with Olives Pate. Thanks for this easy recipe.